1600 Shades Glen Cir, Homewood, AL.| MLS# 834682 | Richard Jacks UABLIVING.com 205-910-2297 | Birmingham AL Real Estate | Contact us to request more information about our Homes for Sale in the Birmingham AL area. Quietly tucked away on the center of the culdesac, this lovely treasure of a home sits begging for you come take a peek. Much larger inside that it looks from outside, this home features a FORMAL LIVING & DINING ROOM plus an open FARMHOUSE white kitchen & supersized FAMILY ROOM with a STONE FIREPLACE on the rear of the house to capture FANTASTIC VIEWS not only from inside but also on the OPEN DECK. This home feels completely isolated & private but yet just minutes to everything. 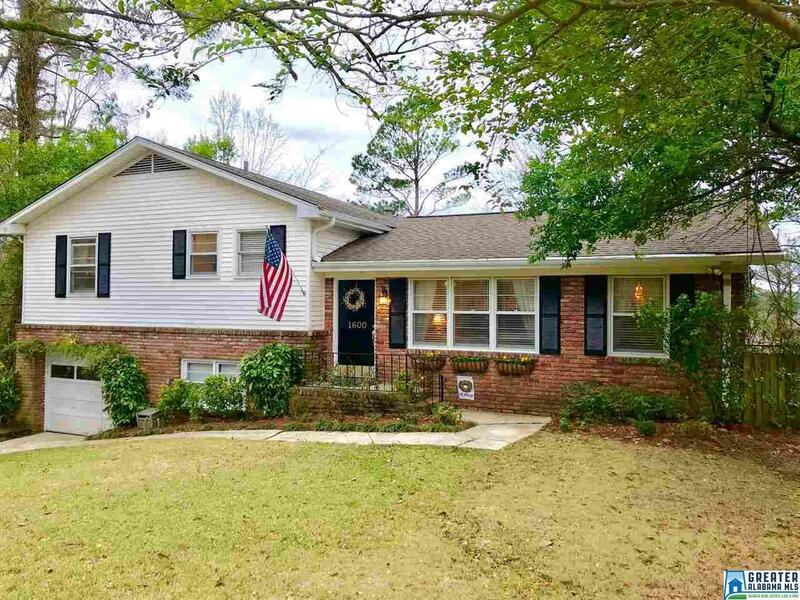 This home has 3 bedrooms & two baths...one bath has been COMPLETELY UPDATED with new vanity, commode & HUGE WALK IN TILE SHOWER...a true treat! The home has NO CARPET...HARDWOOD FLOORS & TILE! Downstairs hidden from most everyone is a separate room that could be secret storage...or a REC RM for the kids...or that MAN CAVE that every family craves. To give you peace of mind, the seller is providing a home warranty that will cover the entire house for one yr from purchase. All of this & HOMEWOOD SCHOOLS TOO! Driving Directions: Hwy 65 South/Exit Off At Alford. Go Left Over Overpass- Left On Berry Road At Stop Sign Go Left Into Forest Brook/Rt On Shades Glen Circle. House In The Center Of The Cul De Sac.